EDINBURG — Hidalgo County joined a federal lawsuit against the U.S. Department of Commerce Monday in connection with a proposed citizenship question on the 2020 Census. The amended lawsuit, filed in in United States District Court in the Southern District of New York, includes two other Texas border counties, El Paso and Cameron. 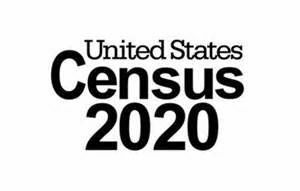 Hidalgo County commissioners oppose the addition of a citizenship question on the 2020 Census and earlier this month hired San Antonio attorney Rolando Rios to represent the county in its fight to remove the question from the decennial headcount. The lawsuit is spearheaded nationally by New York State Attorney General Eric Schneiderman and includes Connecticut, Delaware, Illinois, Iowa, Maryland, Massachusetts and Minnesota in addition to New Jersey, New Mexico, North Carolina, Oregon, Pennsylvania, Rhode Island, Vermont, Virginia and Washington. Texas has yet to join the suit, despite movement by three of its counties.